4 × 13 W single-ended power ampliﬁers. 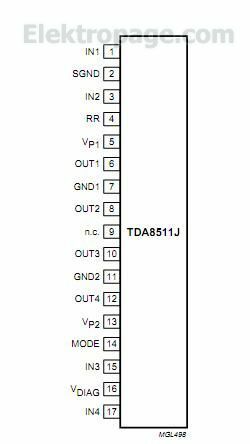 The TDA8511J is an integrated class-B output amplifier in a 17-lead DIL-bent-SIL power package. It contains 4 × 13 W single-ended amplifiers.